(Asociación Civil de Desarrollo Integral de Mujeres Activas Rurales – ACDIMAR). This P4P association is formed exclusively by women. Amanda Lopez is a 56 year-old woman who lives and works on the Pacific coastal plain in Guatemala. 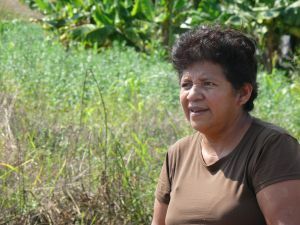 She is a farmer and founder of the Civil Association for the Integral (Asociación Civil de Desarrollo Integral de Mujeres Activas Rurales – ACDIMAR). This association is formed exclusively by women, which is neither usual nor easy in a society in which women’s lives are bound by traditional roles. Under P4P, the participation of women is prioritized. Women farmers in Guatemala now manage rotating funds with productive and personal loans for the members of their cooperatives. They actively participate in field work with demonstration plots and also grow their own crops, to be used for their family’s consumption and also for marketing. “It is the first all-women organization with which we work. Now the women are empowered, but the challenge is to support them so that they can maintain equal relationships, both in the group and outside of it,” says Josefina Tamayo, gender specialist in P4P Guatemala. “Our most important achievement perhaps is doubling our membership from 22 to 44 women. This is due to the interest that P4P has aroused. But, it has been a difficult process and we have been working on this for eight years,” says Amanda Lopez. 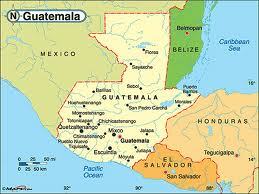 According to the last census in Guatemala, 51% of the population is women. P4P is convinced that including women is absolutely necessary for development. “You cannot talk about development if not everybody receives the direct benefits. To achieve development, it is necessary to increase women’s participation. The average participation by women in P4P farmers’ organizations in Guatemala so far is at 35 %,” adds Tamayo. P4P started to work with ACDIMAR in June 2009. The women have participated in trainings on capacity building on agricultural practices, organizational strengthening, gender equality and marketing. In April this year, a workshop was held in which the issues facing women were studied. The women from ACDIMAR are clear about the role they play in their communities and the positive effects their participation in P4P has on the food and nutritional security of their families. “We continue to receive more and more trainings, we haven’t been left behind. Sometimes we feel like giving up but we realize that we are moving ahead and the support continues,” Amanda assures. I am no longer certain whether this post is written through him as no one else know such detailed about my problem.